Ink that writes almost a mile. Well-balanced barrel plus comfortable grip equals less writing fatigue. RSVP. Discover the best. Pentel. With this Pentel RSVP pen, you will be able to write almost a mile of ink while using the balanced, comfortable grip this pen has to offer. Blend with ease, control, and versatility. 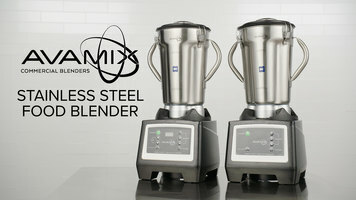 It's possible with Avamix stainless steel food blenders! These blenders bring together powerful motors, user-friendly controls, and a stylish, durable structure to compliment any decor. Watch this short video to find out more! 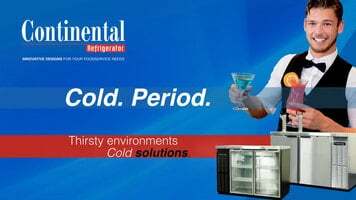 Continental Refrigerator has the Keg Coolers and well as the Back Bar Cooler to cater to your refrigerator needs. Both units comes with a multitude of benefits, and you can add optional features to the standard model in order to get just the right piece of equipment for your business. Watch this video to learn how Noble Chemical Lubriquick can maintain the moving parts of your kitchen equipment!